Whereas water scarcity is a real problem, there are so many simple things we can do to save water. The best way to save water is changing our wasteful habits or lifestyle, which requires a long-term commitment. 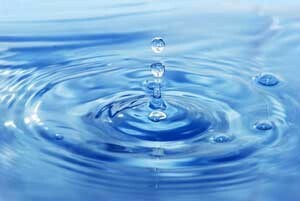 The following includes easy ways of reducing water consumption in your Annapolis home. Modern ultra-efficient toilets approximately use 1.28 gallons of water per flush. The old version of toilets utilizes 1.6 gallons per flush. Surprisingly, toilets made before 1993 use at least 3.5 gallons of water with every flush. The installation of a new toilet kit can, however, cost a lot of money. The best alternative, in this case, is replacing the guts of the toilet tank with a new dual-flush converter kit. The new converter kit cuts water consumption down to 0.8 and 1.6 gallons of water per flush for liquid waste and solid waste respectively. An old-style top loading washing machine gets better used when doing full load laundry only. Also, when doing small load cleaning, one should adjust and set the machine such that it does not get filled with a lot of water. An easy way to regulate laundry water is getting the new front-style loading water machine. The new machine weighs the load and uses the appropriate amount of water needed to complete the entire laundry. In most cases when a tap is open, the running water gets underutilized. Therefore, one should form the habit of fetching water in a bowl and then using it for the intended purpose. A point in case is washing vegetables and fruits in a bowl instead of under the tap. Also, whenever one is soaping hands, the valve should not be open. Sometimes kids may wish to drink a glass of cold water from the tap. Thus, it is advisable to keep a large bottle of drinking water in the refrigerator so that they do not continuously run the tap until the water gets cold. The biggest source of water waste is undetected water leaks that are hard to detect unlike valve drips or toilet leaks. They cause hidden household water usage. Therefore, one should regularly call an Annapolis plumber to detect leaks in the piping systems and change flapper valves. Put savings in your pocket this month by cutting the water usage in your Annapolis, MD home. Call Heidler Plumbing at (410) 268-7191, and see how much you can save this month.